Should I contact an Eighteen-Wheeler Accident Lawyer in Alabama or Mississippi after being involved in an Accident? Commercial vehicles, eighteen wheelers and big trucks can be found travelling across Alabama, Mississippi and beyond 24 hours a day and 7 days a week. Commercial vehicles are an important and necessary service for our society and economy, and most truck drivers are good people and hard-working individuals. 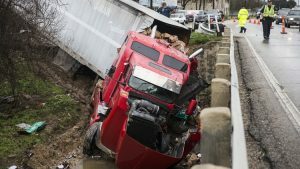 However, while there are specific federal rules about how long truckers can drive without resting, there are some drivers that insist on pushing the limits, sometimes with catastrophic and deadly results for families on the same roads. Some of this evidence needs to be collected immediately and some will be collected in litigation. All of this evidence needs to be preserved as soon as possible to show what really happened during the accident. This evidence is often difficult or impossible to find days or weeks after the accident. If you have suffered injury from a wreck with an eighteen-wheeler or big truck, you need a lawyer with experience in handling big truck cases to help you work through this difficult time. What are the common issues in eighteen-wheeler and commercial vehicle cases as well as potential causes of accidents? How can a lawyer help me after I am in an accident with an eighteen-wheeler in Alabama or Mississippi? If you are reviewing lawyer websites after being involved in an accident with an eighteen-wheeler, you are asking the right questions. Take the time and find out who the actual lawyer is that will actually be handling your case on a day to day basis before you sign a contract to hire the law firm. Don’t be afraid to ask this straightforward question of the law firm. Do not rely on investigators, case managers and paralegals – talk to a lawyer. There is a big difference between how a typical car wreck case is handled versus a wreck with a big truck or eighteen wheeler. The day to day handling of your case can make all the difference in how your case is ultimately resolved. During his days as an insurance defense lawyer, Chris defended trucking companies, truck drivers and their insurance companies. Chris has experience with trucking companies and their insurance companies and how they operate immediately following an accident – they have lawyers, investigators, accident reconstructionist experts and adjusters on standby 24 hours a day / 7 days a week. In fact, many trucking defense law firms deploy “Rapid Response Teams” to immediately get to an accident scene to begin building a defense for the trucking company. Chris has set up the Estes Law Firm to respond to truck accidents in the same way as the trucking companies and their insurance companies. This is the only way to give individuals and families injured in these accidents the best possible chance of receiving the maximum amount of compensation from the trucking companies and their insurance companies. If you have suffered injury from a wreck with an eighteen-wheeler or big truck, give us a call as soon as possible and let us get to work for you. Chris no longer represents the trucking companies and their insurance companies. 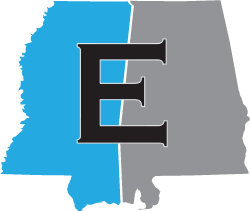 The Estes Law Firm now devotes all of the resources of the firm to representing individuals, families and small businesses throughout Alabama and Mississippi. The sooner you call, the sooner we can begin working on your case. Contact us for a free review. There is no fee unless we recover on your behalf. If we don’t recover, you don’t owe us anything. Contact us for a free review of your trucking accident.